The New York Times is reporting the deaths of "at least" eight American civilians most of whom are CIA officers in a suicide bombing at Forward Operating Base Chapman, Khost Province, Afghanistan on Wednesday, December 30th. If these civilians are CIA employees we will count them in our causality count. The DND/CF is reporting the deaths of four Canadian ISAF soldiers and an embedded Canadian reporter in an IED attack somewhere in Kandahar province, Afghanistan on Wednesday, December 30th. Four additional soldiers and another civilian were wounded in the attack. #1: Two roadside bombs went off under two civilian cars in one street in Baladiyat neighbourhood, east Baghdad at 6 and 6.30 p.m. Tuesday, injuring two civilians. #1: Three Iraqi army personnel have been injured in an explosive charge blast in southern al-Saadiya district, a local security source said on Wednesday. “An improvised explosive device (IED) hit an Iraqi army patrol vehicle in Imam Wees area, southern al-Saadiya (35 km south of Khanaqin), wounding three patrolmen who were taken to the hospital,” the source told Aswat al-Iraq news agency.Meanwhile, an army force has managed to safely defuse another explosive charge that was found in a nearby location, according to the same source. #1: A member of the Asayesh (Kurdish for security) forces has been killed in an explosive charge blast near Kirkuk City, a local security source said on Wednesday. “On Wednesday, a sticky explosive device hit the vehicle of an Asayesh member near the police station in downtown Touz Khormato district (80 km south of Kirkuk),” the source told Aswat al-Iraq news agency.The man died on the spot, the source noted. #1: Iraqi army forces have thwarted an attempted rocket attack on a Multi-National Force (MNF) base in Kirkuk, a security source said. “On Wednesday evening, forces from the 46 th Brigade found two locally-made rockets in an agricultural land near al-Madhhouriya village (65 km southwest of Kirkuk),” the source told Aswat al-Iraq news agency. The missiles were set to be fired at an MNF base near al-Huweija district.The rockets have been dismantled, the source noted. #1: Two policemen on Wednesday were injured when a hand grenade was thrown at their patrol in central Mosul, according to a local police source. “The blast occurred in al-Farouq area, downtown Mosul,” the source told Aswat al-Iraq news agency.The two cops have been taken to the hospital for treatment, the source noted, providing no further details. #2: Police forces on Wednesday killed a gunman who threw a hand grenade at one of their patrols in northern Mosul City, a local security source said. “The forces shot down the gunman while he was trying to escape,” the source told Aswat al-Iraq news agency.None of the patrolmen was wounded in the incident, the source added. #1: update Anbar governor lost his left hand, while member of the local council died of wounds sustained in the twin bombings that hit central Ramadi on Wednesday, a media source said on Thursday. “Doctors at the Baghdad hospital cut the left hand of Governor Qassem Mohammad al-Fahdawi as he seriously wounded in the attack that targeted him on Wednesday (Dec. 30),” the source told Aswat al-Iraq news agency, noting that his health condition is stable. “Member of the Anbar council, Saadon Abdulmuhsen al-Kharbeet died of wounds sustained in the same attack,” he added. #1: A group of armed militants have raided a house in southern Afghanistan's Uruzgan province, beheading six former militants and wounding another. The provincial police chief Juma Gul Humat said Thursday, "A group of extremist Taliban rebels attacked a house Wednesday night in the provincial capital of Trinkot and beheaded six of their former friends who were moderate and opposing the war." #2: Authorities in southern Afghanistan's Helmand province said Thursday that a military operation on Taliban has claimed the lives of seven civilians in the province. "NATO-led troops carried out air strike outside Helmand's provincial capital Lashkargah on Wednesday, killing seven civilians and wounding two others," spokesman for provincial administration Daud Ahmadi told Xinhua. The attack, he added, took place when some elders in Walizai village were discussing on the irrigation system in their area. #3: A roadside bomb went off near the head office of Gorbaz district in eastern Afghanistan's Khost province Thursday morning, injuring five police officers including the district police chief. Guldad, head of criminal investigation department of the district police, told Xinhua that Basmillah Khan, the police chief of Gorbaz, was on his way from home to office Thursday morning when a roadside bomb struck his car. Afghans insist NATO troops killed children: The head of a presidential delegation investigating the deaths of 10 people in eastern Afghanistan concluded Wednesday that civilians — including schoolchildren — were killed in an attack involving foreign troops, disputing NATO reports that the dead were insurgents. #1: Gunmen shot and killed an Iraqi army military intelligence officer in Zayuna neighborhood around 1 p.m. Tuesday. #1: At least six people were killed and ten others were wounded in an improvised explosive device explosion in north of Baaquba on Wednesday, according to a security source. “An explosive charge went off on Wednesday afternoon (Dec. 30) targeting Shiite pilgrims coming back from Karbala in al-Umal neighborhood, north of Karbala, killing six and injuring ten,” the source told Aswat al-Iraq news agency. #1: Iraqi security forces managed on Wednesday to detonate an improvised explosive device in south of Kirkuk, a source from the joint coordination center said. “A force from the Daqouq police department found early Wednesday (Dec. 30) an explosive charge on the road between Kirkuk-Daqouq, south of Kirkuk,” the source told Aswat al-Iraq news agency, noting that the bomb was detonated without damage. #1: One civilian was killed and a child was wounded by gunmen in eastern Mosul, a security source said on Tuesday. “Unknown gunmen opened fire on a civilian in al-Nour neighborhood, eastern Mosul, killing him instantly, and injuring a passing nine-year-old child,” the source told Aswat al-Iraq news agency. #2: Three people were wounded on Tuesday in a hand grenade explosion in central Mosul, according to a security source. “Three persons, including two policemen, were wounded on Tuesday afternoon (Dec. 29), when gunmen threw a hand grenade on a police vehicle patrol in Bab al-Jadied region, central Mosul,” the source told Aswat al-Iraq news agency. #3: A judge and his wife were wounded on Tuesday by unknown gunmen in southern Kirkuk, a senior police officer said. “Unidentified armed men opened fire on Tuesday evening (Dec. 29) on Judge Saad Abdullah Mohammad and his wife while driving their private car in al-Nasr neighborhood in southern Kirkuk,” Colonel Ahmad Shmerani told Aswat al-Iraq news agency. 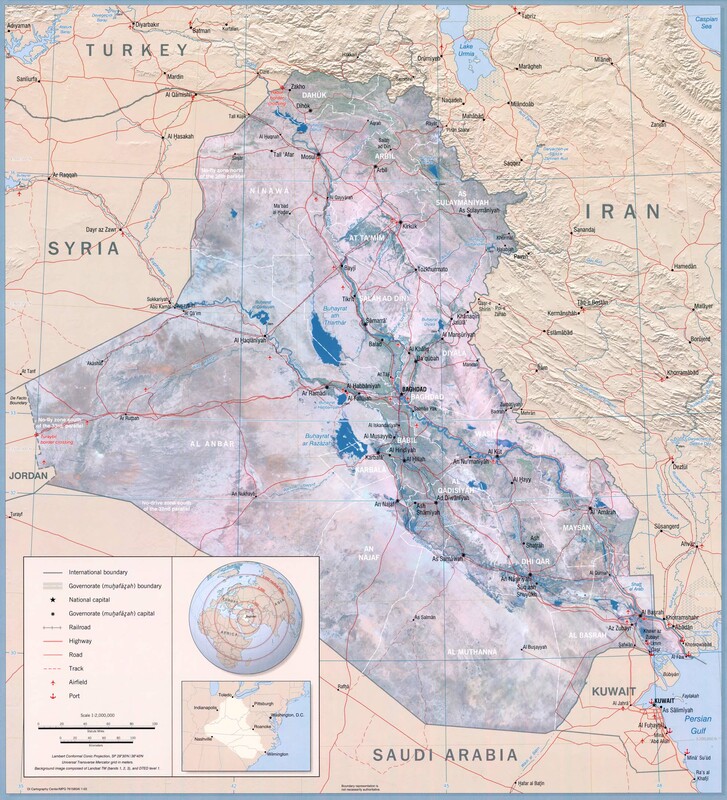 #1: Staggered explosions killed 23 people - 13 of them policemen - and injured the governor of Anbar on Wednesday, Iraqi officials said, the worst violence in months to hit the western province as it struggles to stamp out the remnants of the al-Qaida insurgency. Police official Lt. Col. Imad al-Fahdawi said two bombs exploded in Anbar's capital of Ramadi, 70 miles (115 kilometers) west of Baghdad. He says a suicide bomber in a car caused the first blast near a checkpoint on the main road near the provincial administration buildings. Gov. Qassim al-Fahdawi, the deputy police chief and other officials came to inspect the damage, the police official said, when a suicide bomber on foot detonated a vest full of explosives nearby. The deputy police chief was killed and the governor and other officials wounded, al-Fahdawi said. Police have put a curfew in place, he added. Another police official said the provincial police commander was wounded. The police official spoke on condition of anonymity because he was not authorized to speak to the media. Dr. Ahmed Abid Mohammed said 23 people had been killed and 57 injured. He said the governor had suffered burns on his face, injuries to his abdomen and other areas. #1: update An Afghan soldier opened fire on foreign troops Tuesday at a military base in western Afghanistan, killing an American soldier and wounding two Italian troops, a senior Afghan commander said. NATO's International Security Assistance Force said in a brief statement that a U.S. soldier "died following a shooting incident today in western Afghanistan," but provided no information. Bahnam said Tuesday's shooting followed an altercation between the foreign forces and their Afghan counterparts that broke out when Western troops refused to allow an Afghan soldier to approach an area where a helicopter was about to land. After that Afghan soldier opened fire, both Western and Afghan troops fired back, wounding him. The British MoD is reporting the death of a British ISAF soldier in a roadside bombing near Forward Operating Base Zeebrugge, in the Kajaki area of Helmand Province, Afghanistan on Monday, December 28th. Canada to ship 20 tanks to Afghanistan as pullout looms: Canada will ship another 20 tanks to Afghanistan in the fall of 2010 to replace those that have been destroyed by insurgents or worn out through repeated use. The Leopard 2 tanks will be shipped directly from Germany, where they are being refurbished, to Kandahar starting in September. Dan Ross, the Defence Department's assistant deputy minister for materiel, told the Senate earlier this year that several tanks had been damaged. Military officers say insurgents have damaged three Leopards beyond the level of repair available in Kandahar. #1: Four civilians have been wounded in an explosive charge blast in eastern Baghdad, a local police source said on Tuesday. “An improvised explosive device (IED) detonated near a parking lot in front of the Ministry of Transportation on Falasteen St., leaving four civilians wounded and seven cars on fire,” the source told Aswat al-Iraq news agency. #1: Police forces defused on Monday a Katyusha rocket in south of Amara city on Monday, a local police officer said. “Police forces managed on Monday (Dec. 28) to defuse a Katyusha rocket near the sugar factory in al-Majar al-Kabier district, south of Amara,” Colonel Sadeq Abdulazim told Aswat al-Iraq news agency. #1: Officials say gunmen have killed five Sunnis who were manning a security checkpoint in central Iraq. A police official and a leader of the Sons of Iraq, a Sunni security force, said they saw the bodies - one of which was decapitated. Tuesday's killings happened in Tal Massoud village, about 30 miles (50 kilometers) north of Baghdad. #1: A U.S. patrol vehicle has been hit by an improvised explosive device (IED) near Kirkuk City, a source from the Joint Coordination Center said on Tuesday. “An explosive charge planted by unknown men went off today near a U.S. patrol vehicle near Suhayl village, Daqouq district (35 km south of Kirkuk), causing damage to the vehicle,” the source told Aswat al-Iraq news agency. 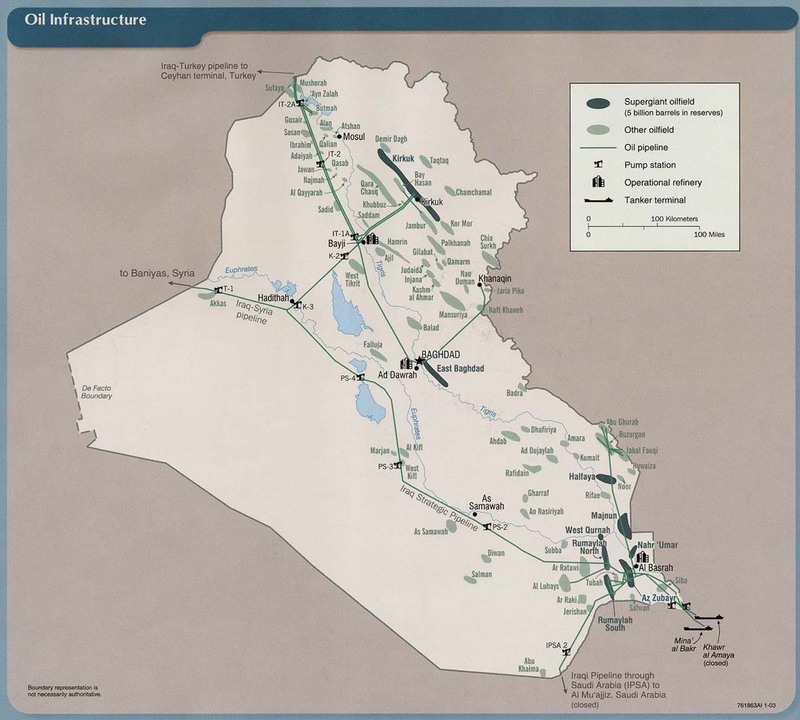 Aswat al-Iraq has made every effort to contact the U.S. side, but to no avail. #1: An Iraqi policeman was killed and two others injured in a bomb blast that targeted their patrol in a neighborhood east of Mosul, security officials said Tuesday, DPA reported.The blast went off late Monday night in the northern Iraqi town, some 400 kilometres from the capital Baghdad. #2: Monday Four Iraqi soldiers were wounded on Monday in a car accident in eastern Mosul, a police source said. “Two military vehicles collided on Monday (Dec. 28) in eastern Mosul, injuring four soldiers,” the source told Aswat al-Iraq news agency. #3: Policemen on Monday killed an armed man after fierce clashes in northern Mosul, a police source said. “The 2nd brigade of the Ninewa police forces killed a gunman in al-Majmouaa al-Thaqafiya region, northern Mosul,” the source told Aswat al-Iraq news agency. #1: Iraqi security forces killed a gunman and arrested another one on Monday during a crackdown operations in western Mosul, a security source said. “Acting on intelligence information, Iraqi special forces killed a gunman and arrested another one on Monday (Dec. 28) in a security raid in al-Ibra al-Kabiera village in western Talafar,” the source told Aswat al-Iraq news agency. #2: Unknown gunmen have robbed a civilian vehicle transporting salaries of health employees in western Talafar, a local security source said on Tuesday. “On Monday (Dec. 28) evening, unknown gunmen attacked two persons inside a civilian vehicle, who were transporting salaries of health personnel in al-Uwaynat village, Rabia district (60 km northwest of Mosul),” the source told Aswat al-Iraq news agency. The total sum stolen was 44 million Iraqi dinars, according to the source. #1: Civilian deaths in Afghanistan rose more than 10 percent in the first 10 months of 2009, UN figures showed Tuesday, amid anger over the alleged killing of children in a Western military operation. Figures released to AFP by the UN Assistance Mission in Afghanistan (UNAMA) put civilian deaths in the Afghan war at 2,038 for the first 10 months of 2009, up from 1,838 for the same period of 2008 -- an increase of 10.8 percent. . The UN calculations show the vast majority, or 1,404 civilians, were killed by insurgents. In 2008, a total of 2,118 civilians were killed in the crossfire, the highest such toll since the 2001 US-led invasion removed the Taliban from power and sparked a fierce insurgency by remnants of the regime. #2: The figures were released a day after President Hamid Karzai launched an investigation into reports that 10 people, most of them school children, were killed in a raid by foreign troops near the Pakistan border. #3: Unidentified miscreants attacked two NATO oil tankers injuring one of the drivers in Sibi, Balochistan on Tuesday. According to the police, some miscreants lobbed a bomb on one the trucks parked near a road side hotel near Sibi. The blast injured tanker’s driver Gul Badshah, but the no damage was done to the vehicle, which were on there way to Chaman from Karachi to supply the fuel to the NATO forces. Four NATO petrol tankers were damaged and a driver was wounded in a blast on Tuesday in southwest Pakistani province of Balochistan, police said. The blast took place on the highway connecting the provincial capital of Quetta and Sibi, destroying four tankers and injuring a tanker driver, Xinhua reported. The tankers were on their way from Karachi to the border town Chaman providing fuel to NATO forces in Afghanistan. #4: An Afghan soldier and 10 Taliban were killed after the militants captured a key town in northern province of Baghlan, officials said Tuesday, DPA reported. Dozens of militants stormed police posts in Kuhna Qala area of the Baghlan-e-Markazi district on Monday night, sparking combat that lasted for several hours, Abdul Wakil Hasas, an army commander in the region, said. "Ten Taliban militants were killed in the fight with army and police forces," he said, adding that one soldier was killed and two troops were wounded. The militants had captured the main town for two hours "because our forces tactically retreated from the area," but pushed the militants out of the area when the reinforcements arrived, a security official in the area who declined to be named said. 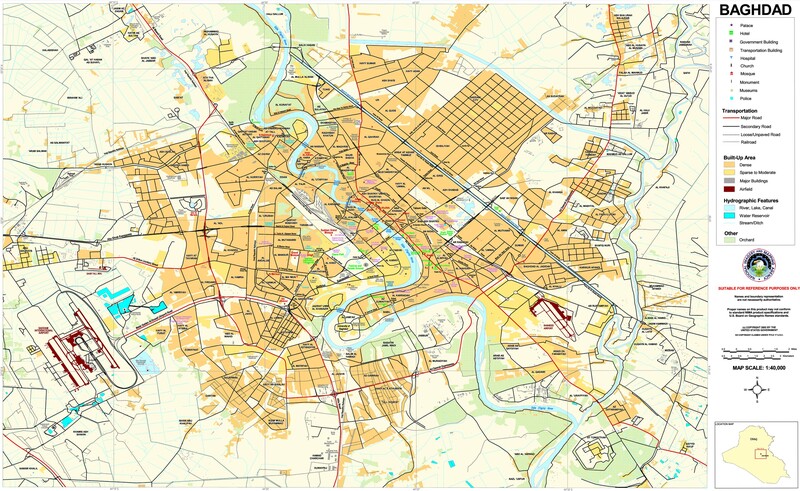 The town is located on the main highway linking the border with Tajikistan in the neighbouring Kunduz province to the capital city. #5: Update The death toll from a suicide bomber’s attack on a Shiite religious procession in Karachi was reported to have risen to 40 on Tuesday, as the city reeled from rioting overnight amid fears that extremist groups already waging a multifront war against the government were now trying to foment sectarian violence against the country’s minority Shiite Muslims. The GEO television network, citing hospital sources, said at least 40 people had been killed and more than 100 had been injured in the attack, which struck the procession as it made its way along Muhammad Ali Jinnah Road on Monday afternoon. #6: A U.S. soldier was killed and two Italians were wounded after an Afghan soldier opened fire in Bala Morghab, Afghanistan, an official at the Italian Defense Ministry said. The two Italians were only slightly injured and an investigation was underway into the shooting, which appeared to be a case of “friendly fire,” said a ministry spokesman, who declined to be identified, citing policy. The two Italian soldiers were treated for their wounds and returned to service, the Defense Ministry said in a statement. There were no ISAF fatalities in the last 24 hours in Afghanistan. #1: Security personnel at Salah al-Din University have found a sticky explosive device inside the car of a university employee, a local police source said on Monday. “The device was discovered while the car was being searched at the main gate of the university…,” the source told Aswat al-Iraq news agency.“Bomb squad personnel have defused the device and no damage was reported,” the source added. #1: Police forces have safely detonated a booby-trapped car in western Mosul City, a local security source said on Monday. “On Sunday evening, a force from the federal police, 3 rd Brigade, detonated a car bomb in al-Tank neighborhood, western Mosul,” the source told Aswat al-Iraq news agency.No casualties have resulted from the explosion, the source pointed out. #2: Two cement factory workers have been killed by unknown gunmen in western Mosul City, a local police source said on Monday. “At noon, two workers at the Hamam al-Aleel cement factory (southern Mosul) were killed by gunmen in Wadi Akab area, western Mosul,” the source told Aswat al-Iraq news agency. #3: An old man has been wounded in an armed attack in western Mosul City, a local police source said on Monday. “This afternoon, a group of gunmen opened fire on a 65-year-old man near his house in 17 Tammouz neighborhood, western Mosul, seriously wounding him,” the source told Aswat al-Iraq news agency. #1: Two members of the Afghan National Police were killed when militants attacked a checkpoint in western Afghanistan, police said Monday. Three other policemen were missing following the attack Saturday night in the Qadis district of Badghis province, said Raouf Ahmedi, a spokesman for the national police's western district. Meantime, locals say that air strikes against Taliban hideouts in Balamirghab district claimed the lives of three civilians and injured four others. But Sami declined to make comment. #2: On Sunday night, as many as 10 militants were killed in the Narang district of Kunar province, said Gen. Khalilullah Zaiyi, provincial police chief. He said investigators had been sent to the remote area to check reports that civilians were among those killed. #3: Pakistani security forces killed 15 militants in the Taliban stronghold of South Waziristan tribal agency bordering Afghanistan during the last 24 hours, the army said in a press release Monday. The army said the miscreants raided the Boya Narai check post in South Waziristan on Sunday night and as the security forces effectively responded, 15 miscreants were killed including terrorist commander Zainual. Two security personnel were killed and three troops were injured during the clash, said the statement. Four pilgrims killed,15 people injured in bombing targeting a procession. Bomb attack on a police patrol injures 6 police officers. Sahwa Council member shot dead in front of his house al-Rubaida al-Kabeera village, southwest of the city. Reuters reports 2 additional incidents. U.S. forces killed one man, wounded another and captured a third after they were seen digging and placing an "unknown object" in a roadside north of Kirkuk on Friday night. Also, A bomb stuck to a policeman's car wounded him in central Kirkuk. One civilian killed, 4 injured by IED attack in Mansour. Reuters reports that this was a bomb attached to a minibus. Three rockets fired at Delta Base on Saturday evening, no reported casualties. Here is information from Stars & Strips about FOB Delta, which has been expanding. Rows of one-room trailers spring up almost overnight on vacant gravel lots, and by mid-February they will replace most of the base’s tent housing. A new theater is scheduled to open in mid-February, and construction is under way on a second dining facility worth $30 million. Since last May, the U.S. military has pumped $70 million into construction on a base that once had a perimeter so porous that Iraqi farmers and their goats had to be chased off the grounds. But the biggest change is the number of Americans at this former Iraqi air force base. About 2,000 U.S. troops are stationed here today, up from just 200 last spring. Some 20,000 members of Iraq's security forces formed cordons around Kerbala, vehicles were banned and 1,000 snipers were perched on the roofs of buildings. Troops stood watch with bomb-sniffing dogs and the wands used to detect explosives. Pilgrims, most dressed in black, thronged the streets leading to Kerbala's golden-domed shrines of Imam Hussein and Imam Abbas, many beating their chests in mourning and chanting accounts of Hussein's death on the battlefield at Kerbala. For Shi'ites, Hussein's death symbolises confronting tyranny in the face of overwhelming odds. It is also a reminder of the rift with Sunnis, who do not revere Hussein as Shi'ites do, over the prophet Mohammad's succession. With joblessness high in Sierra Leone, war-torn Iraq has drawn the attention of thousands of unemployed youths in the west African state, Deputy Labour Minister Moijueh Kaikai said last Wednesday. "About 10,000 Sierra Leonean youths have signed up for security jobs in Iraq" under a contract agreement brokered by the British security firm Sabre International, he said. The minister added that "the latest group of 420 youths, including 10 women, left overnight for Iraq, while an overall total of 10,000 are on the roll call for the programme." He said another batch will be leaving within the next two weeks but did not indicate the number. "A Sierra Leone ministry of labour official is presently in Iraq in Camp Smith to oversee the programme," Kaikai said, adding "the security situation where they will be working is relatively safe and they will not be working in any combat area. "According to the agreement, Sierra Leone diplomats in the region will be visiting the workers at intervals to monitor the conditions." "The government has benefitted from the scheme as the programme has addressed the unemployment situation in Sierra Leone. The workers' salaries will be about $250 a month; $50 will be paid to them in Iraq and the rest deposited in their foreign accounts in Freetown," the minister explained. ISAF says a U.S. soldier was killed in southern Afghanistan on Saturday, bringing total deaths of Americans for the year to 310, twice last year's total. Rocket strikes grounds of interior ministry, no reported casualties. General Khodaidad, who has been nominated to continue his job as counter-narcotics minister in a new cabinet, said people at all levels were profiting off the drug -- from the lowly police recruit to government officials running major smuggling networks. While catching small dealers was one thing, rooting out corrupt officials and ringleaders was near impossible, Khodaidad, who has served as Afghanistan's counter-narcotics minister for the past three years, told Reuters in an interview. "We can catch small (traffickers) everyday. It is very difficult to identify ... big drug dealers. They are not involved themselves but they are ... behind it, they are behind the network," said Khodaidad, who goes only by one name. Asked who these big players were, Khodaidad said: "They are inside the government, they are outside of Afghanistan ... they are behind these networks." Afghan asylum seekers detained by Indonesia threaten a hunger strike. A few hundred of these young American men will be sent home in coffins or with their legs blown off. A few thousand Afghans will get blowed up real good by our Predator drones and newer, follow-up flying robots, in a military enterprise that could only have been dreamed up by someone who's spent too much time playing Dungeons and Dragons in his dormitory basement. Why? NATO is reporting the death of an American ISAF soldier in an IED explosion in an undisclosed location in Afghanistan on Friday, December 25th. #1: Also on Saturday, three policemen and two civilians were wounded when a roadside bomb struck a police patrol in Baghdad' southeastern district of Zaafaraniyah, the police said. #2: An Iraqi police official says a roadside bomb has killed three Shiite pilgrims in eastern Baghdad in the latest round of violence to strike worshippers during a revered Shiite observance. The official says Saturday's bomb was planted near a tent that offered drinks and food to pilgrims. He says 16 people were injured. A medical official confirmed the casualty figures. #3: A member of the Baghdad local council escaped an assassination attempt when an improvised explosive device that targeted pilgrims in the east of the capital city who were heading for the holy Shiite city of Karbala, the council chief said on Friday. “Sabbar al-Saadi escaped the IED blast in the area of al-Maamil. He was rushed to a nearby hospital and his health condition is stable,” Kamel al-Zaydi told Aswat al-Iraq news agency. Meanwhile, a source in Shiite leader Muqtada al-Sadr’s office in Baghdad said Sheikh Amjad al-Saadi, the office’s relations director, and a driver were wounded in the explosion, adding the local officials were inspecting the Husseini processions that were heading to Karbala, where Shiite Muslims are celebrating the Ashuraa. #4: Three people were killed and seven others wounded when an improvised explosive device (IED) attack targeted a Shiite procession in Baghdad on Friday evening, a security source said. “The IED left three pilgrims killed and seven others injured in the eastern Baghdad district of al-Rashad, when they were going on foot in a procession heading for Karbala,” the source told Aswat al-Iraq news agency. #5: Two persons were killed and eight others wounded in an improvised explosive device attack that targeted a procession of Shiite pilgrims heading to the holy city of Karbala to celebrate the Ashuraa. “Two civilians were killed and eight others wounded in the attack that took place near the Baghdad al-Jadida (New Baghdad) area, in the southeastern part of the city,” the source told Aswat al-Iraq news agency. #1: Mahmoud Hussein al-Obiedi, a Sunni chieftain, was killed in a bomb explosion outside his house in Baghdad's western suburb of Abu Ghraib, a local police source told Xinhua on condition of anonymity. #1: Elsewhere, a policeman and four civilians were wounded when an explosive charge hidden in a garbage container detonated near a police checkpoint in the town of Tuz Khurmato, some 90 km east of Tikrit, the capital city of Salahudin province in north of Baghdad, a provincial police source said. #1: Iraqi forces defused a car bomb that was meant to target security forces in eastern Mosul on Friday, a local security source within the Ninewa Operations Command (NOC) said. “The police managed to dismantle a car bomb that was parked in the area of Bazwaya, on the main street that leads to Bartala district, eastern Mosul city, without incident,” the source told Aswat al-Iraq news agency. “The explosive vehicle was meant to target the security forces heading for Bartala that has recently witnessed disputes between Christians and ethnic Shabaks,” the source added. #1: In separate incident, Mallooky al-Jumaily, a police Lieutenant General, was killed in the morning by a bomb explosion in front of his house in the city of Fallujah, some 50 km west of Baghdad, a anonymous source from the city police told Xinhua. A civilian man was killed on Saturday morning when an improvised explosive device (IED) went off near his house in central al-Falluja district, a local police source said. “An IED planted on the roadside in al-Jumhouriya neighborhood, central Falluja, went off right after a civilian man stepped out of his house, killing him instantly,” the source told Aswat al-Iraq news agency. #1: Eight militants have been killed in clash with security forces in Afghanistan's northern Kunduz province, a private television channel Tolo reported on Saturday. The clash occurred in 3rd precinct of provincial capital Kunduz city on Friday evening, leaving eight insurgents dead, the television report added. Three more militants were injured in the firefight lasted for awhile, Tolo said. There were no casualties on the security forces. #2: A heavily armed Taliban commander was killed Saturday during an pre-dawn shootout at a mosque in eastern Afghanistan. Afghan security forces surrounded the mosque outside the town of Pirdad in the Nirkh district and called for him to surrender. When he didn't, they went inside. "The Taliban commander opened fire with his AK-47 while in the mosque and was killed by the Afghan security force," NATO said in a statement. Abdul Haq, acting police commander of Nirkh province, said the shooting actually occurred in the mosque compound, not inside the mosque itself. The shootout was at about 3 a.m."As the Afghan forces were about to enter the mosque, he escaped through a window," Haq said. "For the second time, the Afghan forces shouted at him to stop. He didn't, and they opened fire on him and he was killed. He was not killed inside the mosque, but in the mosque compound." #3: Militants assassinated an anti-Taliban tribal elder and dumped his beheaded body by the roadside in Pakistan's northwest tribal belt, officials said Saturday. Gul Mohammad, 42, an elder of the Salarzai tribe, had been active in raising a village militia to battle Taliban militants in the Bajaur tribal district bordering Afghanistan, an official said. "The body of Gul Mohammad was found this morning in Mamund village," Faramosh Khan, a local administration official in Khar, the main town in Bajaur, told AFP. "A note found on the beheaded body said that anyone joining the militia against the Taliban would be killed in the same manner," Khan said. #4: At least five people were killed and two others were wounded Saturday in a gun battle between two rival militant groups in a Pakistani tribal region, locals said. Clashes erupted between the banned "Lashkar-e-Islam" and "Ansaar-ul-Islam" groups in the Terah valley of Khyber Agency in Pakistan's northwest. Sources said that supporters of both groups used light and heavy weapons to target each others' bunkers. #1: Five people were killed and 22 others wounded when an improvised explosive device (IED) went off in the eastern Baghdad district of Sadr City on Thursday, a local security source said. “The IED went off near a funerary gathering in Sector 42, Sadr City district, eastern Baghdad, leaving five people killed and 22 others wounded,” the source told Aswat al-Iraq news agency. #2: Three people were killed and eight others wounded on Thursday when an improvised explosive device (IED) went off in al-Zaafaraniya, southeastern Baghdad, a local security source said. “An IED went off near a Shiite funerary gathering in the area of Sa’eeda, al-Zaafaraniya neighborhood, southeastern Baghdad, killing three and wounding eight others,” the source told Aswat al-Iraq news agency. #3: One civilian was killed and four others were wounded in a roadside bomb explosion in eastern Baghdad on Friday, a police source said. “The bomb, planted by gunmen in al-Shamaiya region in eastern Baghdad, went off, killing a civilian and injuring four,” the source told Aswat al-Iraq news agency. #1: Unknown gunmen slew on Thursday a prominent figure in Jalawlaa, said a local security source in Diala province. “The victim is Shokor Tayyeb. His daughter, Amal, is a candidate of the Kurdistan Alliance List participating in the upcoming parliamentary election,” the source told Aswat al-Iraq news agency. He said that the armed men stabbed Tayyeb with knives before slitting his throat. #1: An improvised explosive device went off near a Shiite procession of pilgrims visiting the holy city of Karbala for the Ashuraa but nothing was said about possible casualties, according to eyewitnesses on Thursday. “A blast targeted a Husseini procession in the area of Bab Baghdad on Maytham al-Timar street in Karbala city. The blast, based on initial information, was the result of an IED,” the Aswat al-Iraq news agency correspondent reported. Twenty-two Shiite pilgrims were killed or wounded when three gas cylinders exploded in the holy Shiite city of Karbala on Thursday, a security source said. “Three gas cylinders that were used to prepare dinner meals for the pilgrims reviving the Muharram 10th anniversary, or Ashuraa, exploded near a Husseini procession, leaving a number of them killed or wounded,” the security source told Aswat al-Iraq news agency. #1: Gunmen opened fire on a local pro-government militia checkpoint on Thursday night, killing one and wounding two others in Shirqat, 300 km (190 miles) north of Baghdad, police said. #1: Unidentified gunmen opened fire southwest of Kirkuk city, killing a civil servant of the electricity department in al-Rashad district, a senior security source in Kirkuk said on Thursday. “Gunmen in a vehicle opened drive-by fire on the civilian who was also in his car,” Brig. Sarhad Qader, the chief of the Kirkuk Districts’ Police Department (KDPD), told Aswat al-Iraq news agency. #1: Three Peshmerga forces were killed on Friday and ten were wounded in a car bomb explosion in Sinjar, according to a security source. “A car rigged with explosives went off on Friday (Dec. 25) targeting A Peshmerga forces vehicle patrol between al-Rabieaya and Sinjar districts, western Talafar, killing three and injuring ten,” the source told Aswat al-Iraq news agency. A suicide bomber detonated a car laden with explosives and killed one soldier from the minority Kurds' Peshmerga military and wounded 14 others near Iraq's border with Syria in northern Nineveh province, said Khaled Abdala, a local leader from the Kurdistan Democratic Party (KDP). A different source from the KDP said the explosion was not a suicide attack, but a remotely detonated car bomb, and put the toll at one killed and 10 wounded. #1: A high-ranking member of former Iraqi president Saddam Hussein's Baath Party was on Friday fatally shot in a suburb of the northern Iraqi town of Mosul, witnesses said. Ahmed Kamel al-Badrani, a former officer in Hussein's feared military intelligence apparatus, was gunned down in front of his home in the western Mosul district of Amil, witnesses told the German Press Agency dpa. #2: Update Two people died late Thursday of wounds sustained in the suicide explosion that targeted chairman of the Talafar council, raising the fatalities to four, a medical source said on Friday. “The two bodyguards were seriously wounded in the explosion that took place last Monday (Dec. 21),” the source told Aswat al-Iraq news agency. #3: US forces killed an insane man in west of Mosul city, a security source said on Friday. “The forces killed an insane man late Thursday (Dec. 24) in Tal Abta district, west of Mosul,” the source told Aswat al-Iraq news agency. “The 17-year-old young man appeared in front of the US patrol holding a plastic gun,” he said, noting that the forces thought he is a gunman and killed him. #4: Update The final toll of the double explosions in the city of Hilla on Thursday rose to 25 dead and 105 wounded, a police source said on Friday. “A police force managed to defuse a number of bombs in the same area on Thursday (Dec. 24),” the source told Aswat al-Iraq news agency. “The explosions killed 25, including 14 policemen, and wounded 105, including 35 cops,” he added. A police source had said yesterday (Dec.24) that 12 persons were killed, including member of the Babel council Neaamat al-Bakri, and 50 others were wounded, including Commander of anti-explosive department Colonel Taleb al-Shemri and two of his aides, when a car bomb and an improvised explosive device went off in central Hilla. #5: Three employees were killed on Friday by unknown gunmen in western Mosul, a police source said. 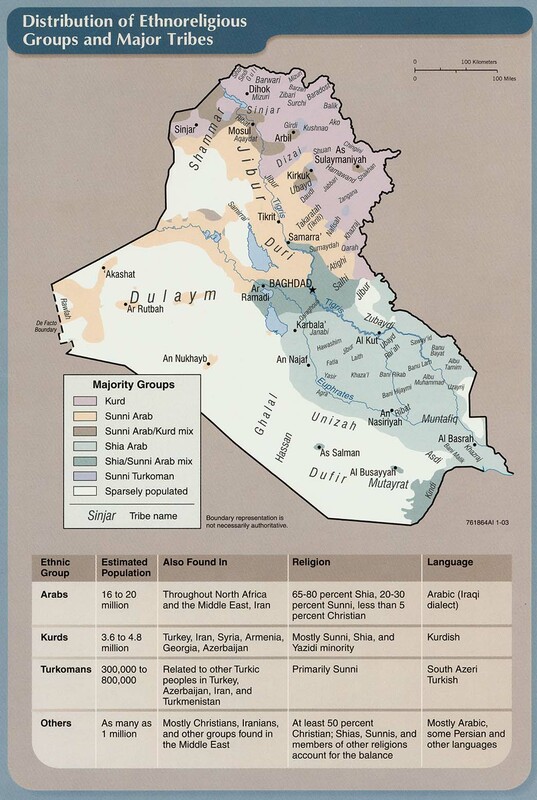 “Unknown gunmen opened fire on a number of the census employees in al-Hay al-Senaai region, western Mosul, killing three of them,” the source told Aswat al-Iraq news agency. #6: Police found the body of a woman who had been suffocated to death in western Mosul, police said. #7: An attacker threw an explosive at an Iraqi police patrol, killing one civilian and wounding another in central Mosul, police said. #1: Two gunmen were arrested while attempting to plant an improvised explosive device (IED) in central al-Falluja city on Thursday, a local security source said. “The Falluja police forces, acting upon intelligence tip-offs, arrested two gunmen while emplacing an IED near a checkpoint in al-Andalus neighborhood, central Falluja,” the source told Aswat al-Iraq news agency. #2: A sticky bomb exploded on Friday inside a car in eastern Falluja, without leaving casualties, a police source said. “The bomb, stuck to a civilian vehicle, went off on Friday morning (Dec. 25) on a road in al-Karma district, eastern Falluja, without causing casualties,” the source told Aswat al-Iraq news agency. #3: Anbar emergency police chief survived an attempt on his life on Friday morning in southern Falluja, according to a police source. “Unknown gunmen on Friday morning (De. 25) opened fire on the motorcade of Colonel Ghazi al-Dulaimi using light weapons in al-Aameriya district in southern Falluja,” the source told Aswat al-Iraq news agency. “Policemen clashed with the attackers and managed to injure and arrest one of them,” he added. “The colonel was not hurt, while the gunmen fled to unknown place,” he said. #1: A suicide bomber killed up to 10 people in Pakistan on Friday. A suicide bomber struck near a mosque by a police compound in the district of Lower Dir. "We have 8 to 10 people killed. We have dead bodies as well as body parts and there are 28 wounded," said Jamal Hayat, a doctor at the region's main hospital. #2: At about the same time, a U.S. drone aircraft fired four missiles in the North Waziristan region, killing six militants, Pakistani security officials said. #3: A government official says Pakistan's army has killed at least nine suspected militants in a northwest tribal region near the Afghan border. Mohammed Yasin says the military used helicopter gunships to destroy three militant hide-outs in the Orakzai area early Friday. At least 12 militants were killed Friday during military operations in northwest Pakistan, local TV channel reported. Gunship helicopters and warplanes bombed the hideouts of the militants in Ferozkhel Mela region of Orakzai tribal agency, as a result eight militants were killed and 10 others injured, the private channel ARY News reported. In the airstrikes, four hideouts and three vehicles were also destroyed. Besides, at least four militants were killed in clash with security forces in Swat valley, North West Frontier Province. According to Swat Media Center, unknown militants opened fire at the army men in a search operation at Serai Amlok area of Malakand region. During clash four militants were killed with large quantity of munitions recovered. The DoD is reporting a new death previously unreported by the military. Lance Cpl. Omar G. Roebuck died from a non-hostile incident in an undisclosed location in Helmand province, Afghanistan on Tuesday, December 22nd. The DND/CF is reporting the death of an ISAF soldier. Lieutenant Andrew Richard Nuttall died in an IED attack near the village of Nakhonay in the Panjwaii District, about 25 km southwest of Kandahar City, Kandahar province, Afghanistan on Wednesday, December 23rd. One Afghan soldier was killed in the blast and an Afghan interrupter was also wounded. #1: Three pilgrims were killed and 28 others injured when a roadside bomb went off near a group of pilgrims in the al-Mashtel neighborhood in eastern Baghdad, the source told Xinhua on condition of anonymity. The bomb exploded when they were travelling on foot to Karbala. #2: Meanwhile, a Shi'te pilgrim was killed and four others were wounded when an explosive charge detonated at a tent set up outside a Shi'te mosque in central Baghdad district of Karradah for Shi'te worshippers to celebrate the Ashura festival, the source added. #3: Four more pilgrims were wounded on Wednesday evening when a roadside bomb struck a group of Shi'te pilgrims who were walking to Karbala in Saidiyah neighborhood in southern Baghdad, he said. Two persons were killed and seven others were wounded in an attack on Shiite mourners in the capital Baghdad, a local police source said on Wednesday. “The blast occurred in al-Ilam neighborhood, southwestern Baghdad,” the source told Aswat al-Iraq news agency. #4: Three civilians on Wednesday were wounded when a mortar shell fell on a marketplace in Baghdad, a local police source said. “The mortar landed on a popular market in Abi Ghareeb area, western Baghdad, wounding three civilians who were rushed to a nearby hospital for treatment,” the source told Aswat al-Iraq news agency. #5: Five civilians on Wednesday were injured in a blast that ripped through a popular market in Baghdad, according to a local security source. “On Wednesday, an improvised explosive device went off in al-Mahmoudiya market, southern Baghdad, wounding five civilians who were rushed to a nearby hospital for treatment,” the source told Aswat al-Iraq news agency. #1: At least 10 people, including a local leader, were killed in twin bomb attacks on Thursday south of Baghdad, Iraqi officials said. Seventy people were wounded in the attacks at a bus and taxi terminal in central Hilla. Provincial council member Na'ma Jassim al-Bakri was among the dead, said Abu Ahmed al-Basri, a fellow councillor in Babel province, of which Hilla is capital. A hospital official confirmed the death toll, which had risen from five reported earlier by Iraqi officials. Another official said three explosive experts called in to defuse a roadside bomb in the terminal were wounded. They were working on the device when a nearby car suddenly exploded, detonating the roadside bomb as well. Twenty-five Shiite pilgrims were killed and 62 others were wounded Thursday in a roadside bombing in Iraq. The victims were killed by a roadside bombing and car bombing, Iraqi Interior Ministry officials said. The attacks, in the town of Hilla in Babil province, come a day after several pilgrims were killed and a few dozen were wounded in Baghdad strikes. #1: Police forces managed to defuse nine bombs in north of Karbala on Thursday, according to a media official. “Security forces found nine bombs, planted on the Karbala-Baghdad road in al-Rafieaa region, north of Karbala,” Major Alaa Abbas told Aswat al-Iraq news agency. “Anti-bombs experts managed to defuse the bombs without casualties,” he added. #2: An improvised explosive device went off on Thursday inside a popular restaurant in north of Karbala, eyewitnesses said. “The bomb exploded inside a restaurant in al-Atieshi region in al-Husseiniya district, north of Karbala,” an eyewitness told Aswat al-Iraq news agency. “Ambulances carried a number of wounded to the city’s hospitals,” he added. The bomb blast the ripped through a popular restaurant in north of Karbala wounded nine persons, a medial source said on Thursday.“The nine wounded were carried to al-Husseini hospital in Karbala for treatment,” the source told Aswat al-Iraq news agency. #1: Police forces on Wednesday found the body of a worker at al-Furat satellite channel in Basra, a TV correspondent said on Wednesday. “Safaa Abdulzahra was kidnapped by gunmen on Tuesday (Dec. 22) evening,” Kadhem al-Hawi told Aswat al-Iraq news agency. “The corpse, which bore signs of gunshot wounds, was found in al-Kafaat neighborhood, downtown Basra,” Hawi added. #1: Two members of the government-allied 'Awakening' (Sahwa) militia were killed Thursday and three others were injured in a shooting attack in the northern Iraqi town of Kirkuk, security official said. A group of unidentified gunmen fled after attacking the checkpoint run by the militia in the town some 250 kilometres north of the capital Baghdad. #2: U.S. combined force defused a car bomb southwest of Kirkuk city, without causing any casualties on Wednesday. #3: An Iraqi army officer has been wounded in an explosive charge blast in Kirkuk, a local police director said on Wednesday. “At 09:15 p.m. today, a sticky explosive device detonated inside the car of Captain Zamel Mohammed Khidr near a gas station in al-Iskan neighborhood, northeastern Kirkuk,” Brig. Sarhad Qadir told Aswat al-Iraq news agency. The blast has seriously wounded Khidr and caused damage to the vehicle, the source indicated, providing no further details. #1: A retired army officer has been killed by unknown gunmen in front of his house in western Mosul, according to a local police source. “On Wednesday evening, gunmen opened fire on a retired deputy officer in the former army in front of his house in al-Aamel neighborhood, western Mosul,” the source told Aswat al-Iraq news agency. “The gunmen knocked on the door and asked his son to call for him. They shot him when he appeared at the door,” the source pointed out. #2: Mosul mayor survived an attempt on his life on Thursday, according to a security source. “An improvised explosive device went off on Thursday morning (Dec. 24) targeting the motorcade of Mosul Mayor Zuhair Muhsen al-Aaraji in al-Tayaran neighborhood, central Mosul, but left no casualties,” the source told Aswat al-Iraq news agency. “The blast targeted the mayor while heading for the house from the work,” the source added. #3: A Christian citizen was killed on Thursday in eastern Mosul, according to a security source.“Basel Misho Hana, a Christian, was killed on Thursday afternoon (Dec. 24) by gunmen in al-Zahraa neighborhood in eastern Mosul,” the source told Aswat al-Iraq news agency. “The driver is a bus driver,” he added. “A passing civilian was wounded in the attack,” the source noted. #4: Gunmen shot dead a man near his home in northern Mosul, police said. #1: A university professor has survived an assassination attempt when a sticky explosive device targeted his vehicle in downtown Falluja on Wednesday, according to a local police source. “Prof. Saoud al-Dulaimi has found the device inside his car while he was leaving his house in al-Dubbat neighborhood, downtown Falluja,” the source told Aswat al-Iraq news agency. “Bomb squad personnel have managed to dismantle the device without causing any casualties or damage,” the source noted. #2: One civilian on Wednesday was killed in an explosive charge blast in downtown Falluja city, according to a local police source. “A roadside explosive device went off in al-Dubbat neighborhood, killing one civilian who was close to the scene of the blast,” the source told Aswat al-Iraq news agency. #1: A suicide bomber wearing a jacket packed with explosives and steel pellets blew himself up today at a police check post near a missionary school on a busy road here, killing at least five people and injuring 25 others on the Christmas eve in the latest in a slew of terror attacks across Pakistan. The attacker detonated his suicide jacket when he was stopped by policemen at the post outside the State Life Insurance Corporation building on the Mall Road in Peshawar cantonment at around 11 am local time. A policeman was among the five persons killed, police and hospital officials said. Several policemen and women were among the 25 injured in the attack. #2: An anti-Taliban militia commander survived a roadside bombing Thursday in northern Afghanistan but two of his bodyguards were killed in the blast, officials said, DPA reported. Selaab Khan was leaving his house in Kunduz, the capital of the province of the same name, when a bomb hidden inside a drainage system was remotely detonated, said Mohammad Razaq Yaqoubi, the provincial police chief. "Commander Selaab Khan is unharmed, but two of his bodyguards were killed," he said, adding that a civilian passer-by was wounded in the blast, which took place in the centre of the city. #3-4: Pakistani troops today killed at least 16 militants during operations in different parts of the lawless tribal belt bordering Afghanistan. #3: Ten militants were gunned down when security forces repulsed an attack on two check posts in Nawagai sub-division of Bajaur Agency, officials said. The militants attacked the two posts with heavy weapons. No security personnel were injured in the incident. #4: Six militants were killed and three more injured when gunship helicopters pounded rebel hideouts in Orakzai Agency. The helicopters targeted three militant hideouts in Mastezai Storykhel area.Two vehicles were also destroyed during the air strikes, officials said. #5: A remote-controlled explosion killed two bodyguards of a pro-government militia commander on Thursday in northern Kunduz province, the provincial police chief Mohammad Razaaq Yaqoubi said. The commander survived the blast and one civilian was wounded, he added. #6: Three civilians were injured as a bomb went off in Kandahar, the birthplace of Taliban in south Afghanistan Thursday, a police officer said. "In the incident which occurred at 01:30 p.m. local time three civilian passersby were injured," Mohammad Anwar told Xinhua. The British MoD is reporting the death of a British ISAF soldiers from suspected friendly-fire/small arms fire during a fire-fight in the vicinity of Patrol Base Almas, near Sangin, Helmand Province Afghanistan on Monday, December 21st. The British MoD is reporting the death of a British ISAF soldier from an IED attack about 1km south of Sangin, Helmand Province, Afghanistan on Tuesday, December 22nd. #1: Also in northwestern Baghdad, one person was killed and four others were wounded in a bombing of a bus Wednesday, an Interior Ministry official said. One civilian was killed and three more were wounded in a sticky bomb explosion in northern Baghdad, a police source said on Wednesday. “A bomb, stuck to a bus, went off in al-Kadhimiya neighborhood in northern Baghdad, killing a civilian and injuring three,” the source told Aswat al-Iraq news agency. #2: Army General Riyadh Abdul Majid was shot and killed Tuesday outside his home in western Baghdad, the ministry said. A senior Iraqi army officer has been shot dead in front of his home west of Baghdad, an interior ministry official says. Brigadier General Riad Abdel Majid, an inspector for the defence ministry, "was killed in Ghazaliya by unknown persons who opened fire on him while he was in front of his house", the official said. #3: Also Tuesday, a person was wounded after a bomb hidden in a Shiite mosque exploded. #1: One civilian was killed and two more were wounded in a bomb explosion in northern Hilla, a media source said on Tuesday. “An explosive charge went off on Tuesday evening (Dec. 22) inside a bus in al-Qarya al-Asriya village in al-Haswa district, northern Hilla, killing one civilian and injuring two,” the source told Aswat al-Iraq news agency. #1: Four policemen were killed by gunmen in western Baghdad on Wednesday, a police source said. “Unidentified armed men attacked a police checkpoint in Karit region in Abu Gharieb district, western Baghdad, killing four cops,” the source told Aswat al-Iraq news agency. “The attackers used guns with silencers,” he added. #1: A roadside bomb wounded three civilians on Tuesday in Tarmiya, 25 km (15 miles) north of Baghdad, police said. #1: Two people were killed and five were wounded in an bombing near a Christian church in Mosul on Wednesday, an Interior Ministry official said. The explosive was hidden inside a handcart that was outside the church. It was not immediately clear if those killed were worshippers. #1: One civilian was wounded in an improvised explosive device explosion in eastern Falluja, a police source said on Tuesday. “An improvised explosive device went off on Tuesday (Dec. 22) in al-Shurta neighborhood in eastern Falluja, injuring a passing civilian,” the source told Aswat al-Iraq news agency. #2: Member of the Anbar council, Eifan Saadon al-Eifan, has survived an attempt on his life when a bomb exploded targeting his car in southern Falluja, a police source said on Wednesday. “A roadside bomb exploded Wednesday (Dec. 23) targeting the car of Sheikh Eifan Saadon al-Eifan in al-Aamiriya district in southern Falluja,” the source told Aswat al-Iraq news agency. “The blast injured one of the official’s bodyguards and damaged the car,” he added. 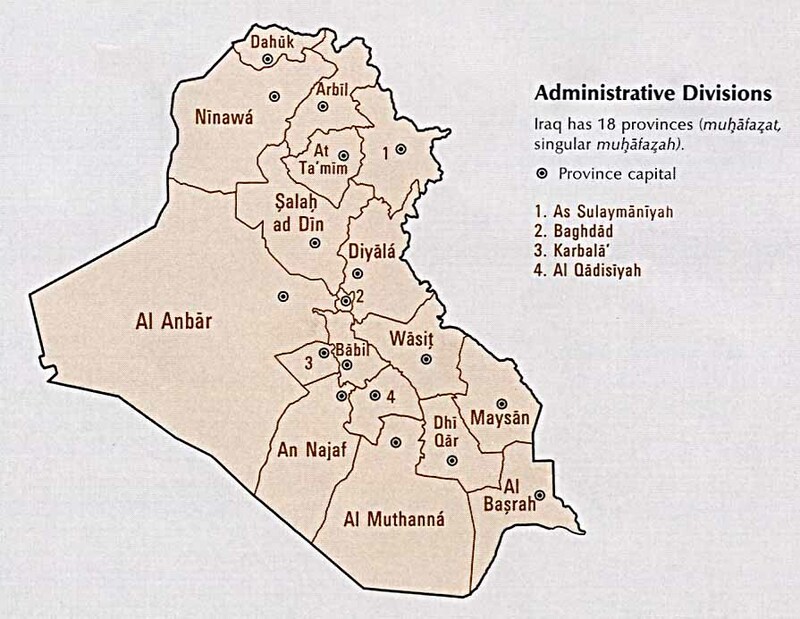 #3: Unknown gunmen blew up on Wednesday a policeman’s house north of Falluja city, leaving no casualties. #1: A member of the Afghan parliament was mistakenly killed in an early morning shootout between his bodyguards and police officers, officials said Wednesday. Mohammad Yunos Shirnagha, a lawmaker from northern Baghlan province, was killed as he returned home around 2:30 a.m. Wednesday, said provincial police chief Gen. Kabir Andarabi. Officers were hiding in an area near the provincial capital, Pul-e-Khumri, where they expected militants to transport a Taliban commander wounded in fighting Tuesday, local police said. That battle left four police officers and four insurgents dead, according to police. When Shirnagha's vehicle arrived in the area, police shouted for it to stop. When the driver did not stop, a gunfight broke out between police officers and bodyguards protecting Shirnagha, a member of Afghanistan's upper house of parliament. The lawmaker's driver also was killed and one of his friends was wounded, the Interior Ministry said in a statement. #2: A bomb killed three civilians and wounded five people, including a soldier, Wednesday in Helmand province, said Daud Ahmedi, a spokesman for the provincial governor. #3: Two civilians were killed and three others injured as their car run over a roadside bomb planted by Taliban militants in Kandahar province of southern Afghanistan Wednesday, said a statement of Interior Ministry. "The terrorist incident occurred today in Takhta Pul district," the statement added. "As a result, two civilians were killed and three others got wounded." It is the second bombing in the restive southern region on Wednesday. A previous attack which rocked Nadali district in Helmand province claimed the lives of three civilians and wounded five others including an Afghan soldier. #4: A Taliban commander responsible for several roadside bomb attacks was killed in a clash with Afghan and international forces in Zurmat district of Paktia province in the southeast, according to a NATO statement. #5: In Kandahar province, two civilians were killed and three wounded when a roadside mine explosion hit their vehicle on Tuesday, the Interior Ministry said. #6: In the Qarabagh district of Ghazni province, three insurgents were killed by a joint Afghan-international force, the ministry said. #7: An Aghan army and police patrol killed a militant suspected of making bombs in Zabul province, the ministry said in a statement. #8: In a joint operation carried out by Afghan National Army (ANA) and police in northern Baghlan province, over 10 Taliban militants were killed and wounded, provincial governor Mohammad Akbar Barikzai said on Wednesday. "ANA and Afghan National Police killed and wounded more than 10 suspected Taliban militants in a cleanup operation conducted in Baghlan-e-Markazi district on Tuesday," Barikzai told reporters at a press conference. A local Taliban commander Mullah Zulmai was among the injured militants, he added. He did not give the exact figure of Taliban causalities, but admitted four police officers were also killed in the firefight. #9: Troops with NATO-led International Security Assistance force (ISAF) shot and injured two civilians in Afghanistan's western Herat province on Tuesday. Both victims were taken to the Herat hospital for treatment, with one of them receiving five bullets while the other two, said surgeon Barakatullah Mohammadi. Maryam, mother of the brothers, blamed the international troops for the atrocity. " Foreign soldiers shot and wounded my sons," she told Xinhua by telephone. Locals, however, said that the troops signaled them to keep clear but the two brothers ignored and continued driving on motorbike prompting the troops to open fire. The British MoD is reporting the death of a British ISAF soldiers from suspected friendly-fire small arms fire in the Sangin area, Helmand Province, Afghanistan on Sunday, December 20th. #1: Two civilians on Tuesday were injured in an explosive charge blast in the capital Baghdad, according to a police source. “This morning, an explosive device detonated in al-Yarmuk neighborhood near Umm al-Tobool mosque, western Baghdad, wounding two civilians,” the source told Aswat al-Iraq news agency. #2: A magnetic bomb stuck to a car belonging to a police officer in the criminal investigations department, detonated on the airport road in west Baghdad, at around 8 a.m. Monday, killing the officer and seriously injuring a civilian who was in the car with him. #3: A magnetic bomb stuck to a civilian car detonated on the main thoroughfare in Ataifiyah neighbourhood, northern Baghdad, Monday evening, killing the driver. #1: Two Shiite worshippers were gunned down on Tuesday close to the town of Baquba while leaving a mosque after carrying out rituals as part of the Shiite religious commemoration of Ashura, police said. "Men in a car opened fire on worshippers who were leaving the mosque, where they were participating in flagellation as part of preparations for Ashura, killing two of them," said a police officer. 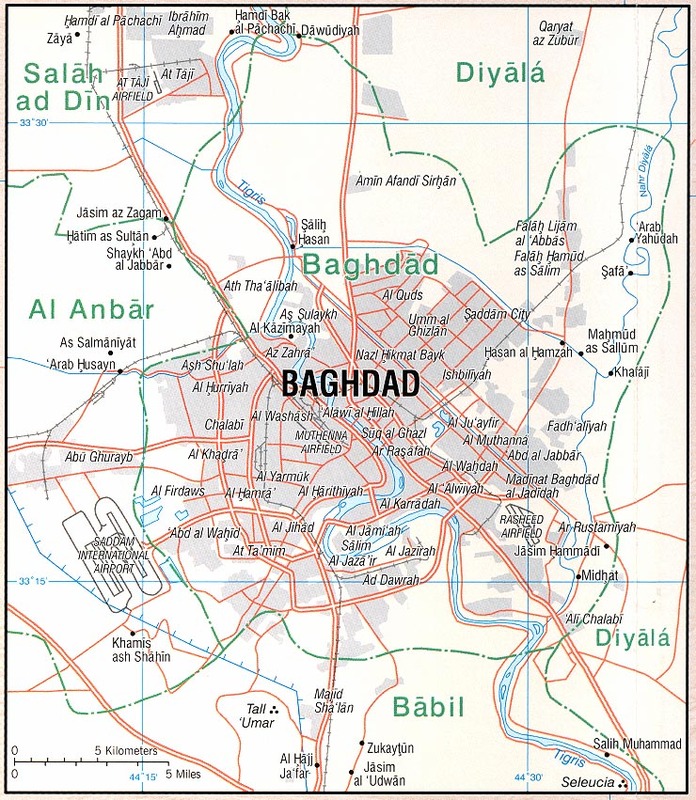 The shooting occurred in the village of Berginiyah, east of Baquba and northeast of Baghdad. #2: One civilian was wounded on Monday in a bomb explosion in al-Saadiya district. An improvised explosive device went off on Monday (Dec. 21) near a civilian car between Jalawlaa and al-Saadiya districts, south of Khanaqin, wounding the driver,” the source told Aswat al-Iraq news agency. #1: In Salahudin province, a police officer was wounded when a bomb stuck to his car went off as he was driving near his home in northern Tikrit, the capital city of the province in north of Baghdad, a provincial police source said. #1: A police officer died on Monday of several wounds sustained last week in Kirkuk, a source from the Joint Coordination center said. “Lieutenant Mohammad Ahmad from the Kirkuk police department died on Monday (Dec. 21) at a hospital in Sulaimaniya of wounds,” the source told Aswat al-Iraq news agency. “The officer had been wounded last Wednesday (Dec. 16) in a sticky bomb explosion in al-Muaalimeen neighborhood in northwestern Kirkuk,” he added. #2: A local police director in Kirkuk has escaped an attempt on his life when an explosive device targeted his vehicle in southern Kirkuk, an informed source said on Tuesday. “This morning, Captain Ahmed Abdulghafoor, the director of al-Rashad police, Kirkuk, survived an assassination attempt when an explosive charge hit his vehicle in al-Nidaa neighborhood, southern Kirkuk, wounding him along with one of his bodyguards,” Brig. Sarhad Qader told Aswat al-Iraq news agency. “The captain was on his way to work when the blast occurred,” the official noted. #3: An Iraqi police patrol have found two rockets that were set to be fired in Karbala, a source from the Joint Coordination Center said on Tuesday. “Two Katyusha rockets were found in Wahed Hozayran area near Shaqaq al-Ghaz Tunnel, southern Kirkuk,” the source told Aswat al-Iraq news agency.“The rockets were set to be fired at a Multi-National Force (MNF) airbase in Kirkuk,” the source pointed out.The missiles have been safely detonated, he added. #4: At least three policemen were wounded when a bomb targeting their patrol exploded in south Kirkuk, 250 km (155 miles) north of Baghdad, police said. #1: “A policeman was killed on Monday afternoon (Dec. 21) by unknown gunmen in al-Majmouaa al-Thaqafiya region in northern Mosul,” the source told Aswat al-Iraq news agency. #2: Two Iraqi soldiers were wounded on Monday in a thermal bomb explosion in western Mosul, an army source said. “A thermal bomb went off on Monday evening (Dec. 21) targeting an Iraqi army vehicle patrol in al-Islah al-Zeraai neighborhood in western Mosul, injuring two soldiers,” the source told Aswat al-Iraq news agency. #3: One civilian was killed by gunmen in western Mosul on Monday, according to a police source. “On Monday (Dec. 21), a vegetable vendor was shot down by gunmen in al-Islah al-Zeraai area, western Mosul,” the source told Aswat al-Iraq news agency. #4: One Iraqi army soldier was killed and one medical civil servant was wounded when gunmen opened fire inside a medical center in northern Mosul city. “The incident took place at a medical center in al-Sokar neighborhood, northern Mosul,” a police source from Ninewa province told Aswat al-Iraq news agency on Tuesday.He said that the armed men were targeting the soldier. #5: Gunmen stormed the house of an Iraqi soldier, killing him and wounding his brother in western Mosul, police said. 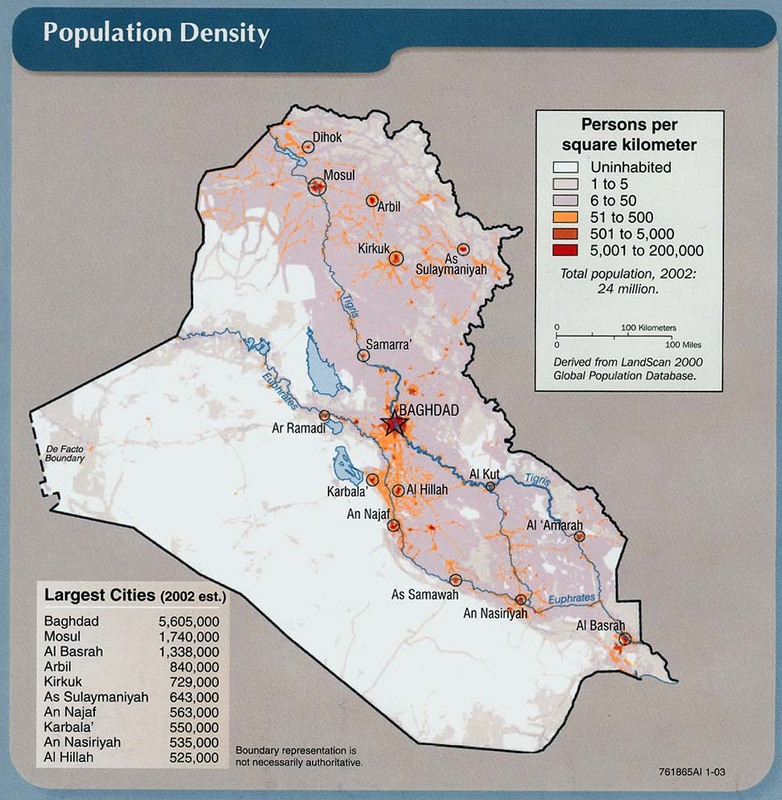 #1: Meanwhile, in Fallujah, a former militant bastion just west of Baghdad, the head of the town's city council Hamid Ahmed al-Hashim was wounded when a magnetic "sticky bomb" was attached to his car as he left his home. Also wounded in the attack, which occurred at 10:00 pm (1900 GMT) on Monday, was police Captain Mohammed Shikhan, who was in the car, police said. #2: A judicial council member in Falluja has escaped an attempt on his life when a sticky explosive device hit his vehicle in downtown Falluja, a local police source said on Tuesday. “Today, Hameed al-Dulaimi survived an assassination attempt when a sticky improvised explosive device (IED) exploded inside his car in al-Shurta neighborhood, downtown Falluja,” the source told Aswat al-Iraq news agency. #3: And the house of a policeman in Fallujah was damaged when insurgents planted explosives around the building and set them off at around 2:00 am (2300 GMT). #3: “A police force defused three bombs in a village in al-Karma district, eastern Falluja, without damage,” the source told Aswat al-Iraq news agency. #1: A suicide bomber detonated his explosives outside a press club in the northwestern city of Peshawar on Tuesday, leaving three people dead in an attack that comes at a time of growing violence and political turmoil in Pakistan. A policeman tried to search the attacker as he approached the press club's gate, but the man resisted and was able to trigger his explosives, killing the officer and an accountant who worked for the organization, said Peshawar's police chief, Liaquat Ali Khan. A woman who was at the site of the attack died of a heart attack caused by the shock of the bombing, said Sahib Gul, a doctor at a hospital in Peshawar where the three bodies were brought. Seventeen other people were injured in the attack, many of whom were traveling in a bus that passed the press club when the explosion occurred, said Gul. #2: Spanish troops came under fire in northwestern Afghanistan on Monday while taking part in an operation in support of an Afghan convoy, but there were no casualties, the defence ministry said. The troops "came under rifle and rocket-propelled grenade fire," in Baghdis province while "providing support and security to an Afghan army convoy of about 80 trucks," it said in a statement. It said the Spanish units called on air support from the NATO-led International Security Assistance Force (ISAF), which bombed the insurgent positions. #3: In the first incident, according to the press release occurred in Bak district on Monday when a mine planted by militants went off, killing two soldiers and wounding two others. #4: In another incident in Yaqubi district of the same province Khost, militants opened fire on a patrol team and the soldiers returned fire, killing four Taliban fighters, the press release added. Eight more suspected militants were arrested from the site, it further said, adding that there were no casualties on the troops. #1: In Baghdad, two more policemen were injured by a roadside bomb explosion near their patrol while passing in the al-Adel neighborhood in western the capital, the source said. #2: In separate incident, two civilians were wounded when a roadside bomb went off in the Baladiyat neighborhood in eastern Baghdad, he said. #3: In central the capital, two civilians were injured when a roadside bomb went off in Karrada district, he said. #4: Also in central the city, two more civilians were wounded when a bomb stuck to their car while passing through a street near the abandoned al-Muthanna Airport, he added. #1: A criminal investigations officer has survived an assassination attempt when an explosive device hit his vehicle in Kirkuk, a local police source said on Monday. “This morning, Maj. Bassem Matar Hussein from the Criminal Investigations Department in Kirkuk survived an attempt on his life when a sticky explosive device hit his vehicle in front of his house in al-Dubbat neighborhood near Kirkuk Park, southern Kirkuk,” Col. Ghazi Ali told Aswat al-Iraq news agency. The blast has totally destroyed the vehicle, but no casualties were reported, the colonel added. #2: Unknown gunmen opened fire on a house in Kirkuk City, wounding an 18-year-old girl who was rushed to the hospital, a local security source said on Monday. “The incident occurred at 10:00 p.m. Sunday (Dec. 20) in Arafa area near the Oil Institute, western Kirkuk,” a source from the Joint Coordination Center told Aswat al-Iraq news agency. #3: “Meanwhile, police forces found an explosive device at 11:00 p.m. yesterday in front of a house in Sahat al-Tayaran Square, downtown Kirkuk, and managed to safely defuse it,” the same source noted. #4: An emergency policeman has been killed during an armed attack in southern Kirkuk, a local security source said on Monday. “At noon, unknown gunmen driving a vehicle opened fire on an emergency policeman in front of a gas station in southern Kirkuk, killing him on the spot,” the source told Aswat al-Iraq news agency. #1: The district council chief of the northern Iraqi town of Tal Afar and one of his guards were killed in a suicide bombing on Monday, police said. "Hussein Ekraysh was killed today when a suicide bomber targeted his car by detonating his explosives belt," police Major Akram Khalil said. In addition to the deaths of Ekraysh, a Turkman, and his bodyguard, three other guards were wounded, along with two district council members and five passersby. #1: A policeman was killed when an explosive charge attached to his car detonated and destroyed his vehicle in the city of Fallujah, some 50 km west of Baghdad, the source told Xinhua on condition of anonymity. #1: Police fought a three-hour gunbattle in the center of an Afghan provincial capital Monday, finally killing two Taliban militants firing from the top floor of a commercial building with dozens of civilians inside, an official said. Three civilians and one police officer were wounded in the fighting in the eastern province of Paktia, said the deputy provincial police chief, who disputed reports that the attackers were wearing suicide vests. Afghan security forces killed three militants Monday after a group of Taliban fighters attacked a police station in eastern Afghanistan, officials said.The militants equipped with suicide vests and automatic weapons attacked a police station in the heart of Gardez city, the provincial capital of the south-eastern province of Paktika, Monday morning, Rohullah Samoon, a spokesman for the provincial governor, said. 'So far three militants were killed in a firefight and the rest were surrounded by police and army forces inside a market,' he said, but did not have any immediate information whether there were casualties among the government forces. #2: Also Monday, the Defense Ministry said 24 militants were killed in operations the day before. The ministry said eight insurgents were killed in southern Helmand province, six in Ghazni in the east, seven in northern Kunduz province, two in Kandahar province in the south and one in Wardak, west of Kabul. #3: NATO said a joint Afghan-international force killed several militants on Sunday after coming under fire while searching a compound in Wardak province. #4: In Nangarhar province in Afghanistan's east, a civilian was killed and two were injured when their vehicle was hit by a roadside bomb, said Gafor Khan, a spokesman for the provincial police chief. #5: Pakistani suspected pro-Taliban militants have destroyed two oil tankers carrying fuel for NATO forces in Afghanistan. Police officials told Press TV that armed militants set fire to tankers on the outskirts of Quetta, the capital of southwestern province of Balochistan on Sunday. The tankers were coming in from Karachi and as it neared a hotel, men in a pick-up opened fire on them. #6: At least six militants were killed and 17 others arrested during military operations in northwest Pakistan in the last 24 hours, the army said in a statement on Monday. Security forces killed two militants and arrested three others during search and clearance operation in South Waziristan tribal area, the Inter Service Public Relations said in the daily press release. Militants fired at several security checkpoints and met with counter attack. Meanwhile, the army cleared 40 compounds and recovered huge cache of arms and explosive. In Swat and Malakand areas of North West Frontier Province, security forces continued search operations, killing four militants and apprehending 14 suspects.